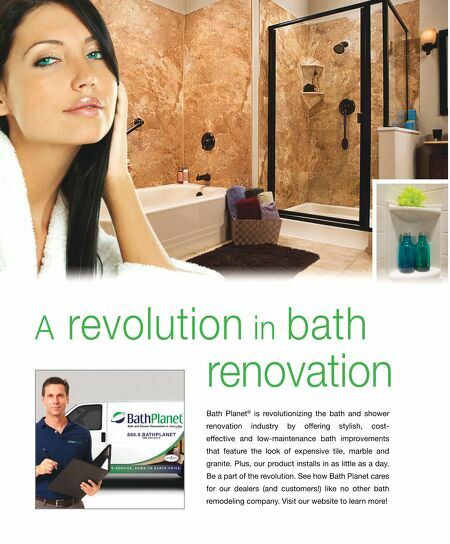 A revolution in bath renovation Bath Planet ® is revolutionizing the bath and shower renovation industry by off ering stylish, cost- eff ective and low-maintenance bath improvements that feature the look of expensive tile, marble and granite. Plus, our product installs in as little as a day. Be a part of the revolution. 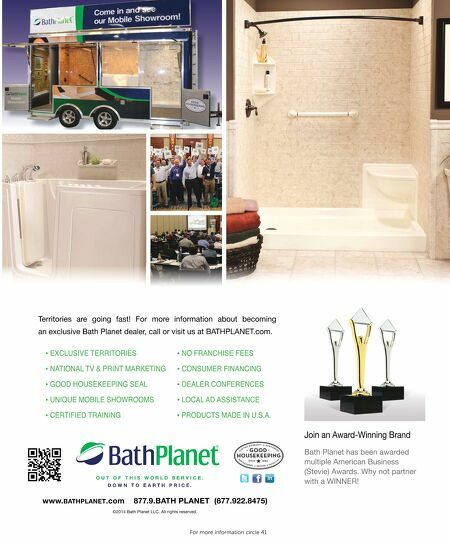 See how Bath Planet cares for our dealers (and customers!) like no other bath remodeling company. Visit our website to learn more!